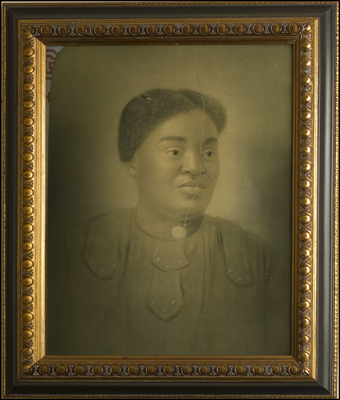 Mrs Townsend portrait (artifact image), from A History of Central Florida: Podcast, Episode 21: Townsend House. Episode 21 features a discussion of Townsend House, located at the Clermont Historic Village. "Mrs Townsend Portrait" (2014). All Museum Images. Image 357.